Are you in search to find the most relevant and cost-effective air ambulance in Kolkata? If so, my friend you made it to the suitable service. Lifeline Air Ambulance Service quickly react to medical emergencies and provide end-to-end medical aid to the critical and injured patient respectively. Once your booking is confirmed with us, we will assist you from your doorstep. 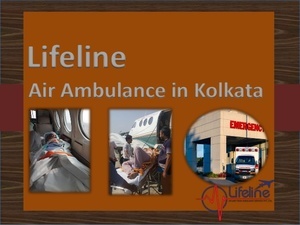 Air Ambulance in Kolkata is fitted-out with top-notch medical amenity to cater needs of the patient precisely.